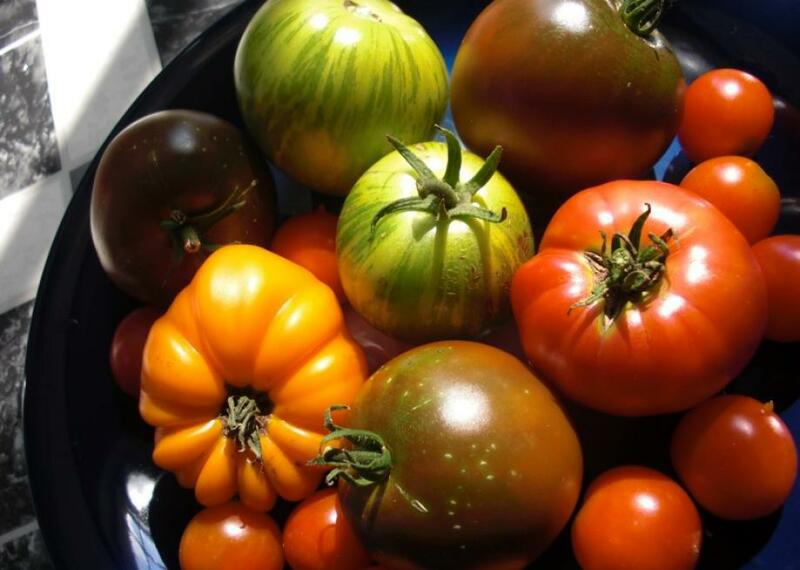 In 16th-century Europe, tomatoes were often grown but not eaten. 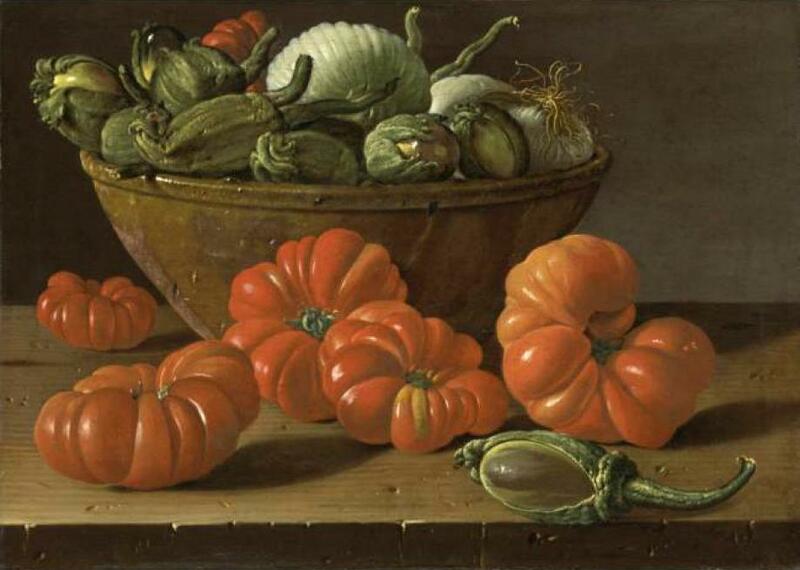 What Was Wrong With 16th Century Europeans That They Didn’t Like Tomatoes? Do you find these appetizing? There are some people who don’t like tomatoes. It’s confusing, and wrong, but a fact. However, this reporter believes that tomatoes are the perfect food. As this summer fruit comes into season on the East Coast, if they are red, ripe, and juicy, I could eat them for every meal—sprinkled with salt and drizzled in olive oil, set between two pieces of mayo-slathered bread (Harriet the Spy–style), as a BLT, the best sandwich ever invented, or in basically any combination with corn. Or basil. Or cheese. Back when tomatoes first came from this side of the Atlantic to Europe, though, Europeans were a whole continent of tomato skeptics. They grew them only in gardens—as ornamental plants—and ate them rarely, if ever. And as a tomato lover, I wondered—what was 16th-century Europeans’ problem? How did they not fall in love with tomatoes at their first opportunity? It seemed unlikely that the tomatoes themselves were the issue. South and Central Americans had already done the long work of domesticating the tomato plant; the seeds that Spanish travelers brought back grew lumpy red tomatoes similar to today’s “heirloom” varieties. In southern Spain, where tomatoes were first grown in Europe, the climate was favorable for tomato plants, and it seems likely that tomatoes would have been eaten freshly pulled from the vine, i.e., in their ideal state. Perhaps the problem was the way Europeans were preparing them. Faced with this new, daring food, what did they do with it? If I could try out the recipes they were using, I might be able to understand why they didn’t take to tomatoes. Luckily for me, I only had to look in one place to find tomato recipes dating from 1692 to 1745, a selection of the first tomato recipes to appear in European cookbooks. Back in the 1980s, Rudolf Grewe, a professor of mathematical logic who spent his retirement researching food history, had tracked down these earliest examples of Europe’s culinary encounters with the tomato and published them in the Journal of Gastronomy. As Grewe discovered, Europeans knew tomatoes could be eaten. One writer in 1585 suggested they be prepared “with pepper, salt, and oil.” But he didn’t recommend it, as tomatoes “give little and bad nourishment.” Even though they were being grown in European gardens, it took more than a century for Europeans to record any formal preparations for the fruit. When Europeans did eat tomatoes, though, at first they mimicked the most basic dish that they’d encountered in Mexico. They made salsa. Francisco Hernandez was probably the first European writer to describe salsa. Philip II had sent him to Mexico to catalogue all the plants he could find there, which took him seven years. In a chapter covering “sour and acid plants,” Hernandez noted how people in Mexico ate tomatoes. They made, he wrote, “a delicious dip sauce from minced tomatoes, mixed with chili,” that would go with almost any dish. Take a half a dozen tomatoes that are ripe, and put them to roast in the embers, and when they are scorched, remove the skin diligently, and mince them finely with a knife. Add onions, minced finely, to discretion; hot chili peppers, also minced finely; and thyme, in a small amount. After mixing everything together, adjust it with a little salt, oil, and vinegar. It is a very tasty sauce, both for boiled dishes or anything else. By the mid-18th century, European chefs had adapted the idea further. A 1747 recipe for a “Spanish-style tomato sauce” subs in black pepper for chiles and adds parsley and garlic, as well. For my first tastes of European-style tomatoes, I thought I would test these three versions of salsa against one another—the raw tomato and chile-heavy “original,” the spicy roasted tomato with thyme version, and the adapted, chili-less interpretation. I made some chicken to go along with these “sauces,” plus two other recipes that Grewe published. There was a kind of proto-ratatouille vegetable stew that matched tomatoes and pumpkin (another American ingredient) with the more familiar eggplant and onions, plus a later recipe, from 1745, that used tomatoes as a main ingredient, to sauce salted cod. The meal that resulted would have been as exciting and daring, in early-18th-century Europe, as Asian fusion seemed in the 1980s. In 1692, tomatoes were still an avant-garde ingredient: The Neapolitan cookbook’s title, Lo scalco alla moderna—the Modern Steward—shows that its author fancied it a very hip manual and “himself a modern innovator,” Grewe notes. Chile peppers were even more radical than tomatoes. Until Europeans crossed the Atlantic Ocean, their hottest spices were mustard, native to the Mediterranean, and black or long pepper, imported from South Asia. The experience of eating chiles for the first time might have something to do with Europeans’ relative lack of interest in tomatoes. The first salsa, raw tomatoes and chiles, was as much a hot condiment as a sauce. When I (and two other volunteers) tasted the Aztec salsa, it burned, and I imagined what it would have been like for a person to have that flush of capsaicin heat in their mouth for the first time. Who could notice or appreciate the tomato if it was serving only a moderating influence on a hot pepper? The second salsa, though, with onions, salt, oil, and vinegar added to roasted tomato, along with the hot pepper, was legitimately good (if you like salsa). The vinegar and salt helped tame the pepper, and while the thyme was a strange note, the combination worked. It was delicious on chicken. The most “modern” variation, with garlic and parsley, was also the most European. It tasted more like bruschetta topping than salsa, and almost definitely, by the time the recipe was published, someone had tried eating it on bread. Even if they didn’t formally record their attempts in recipe books, European cooks had been experimenting with tomatoes; bruschetta’s a simple and obvious enough innovation that no one’s given credit for it. At some point, people around Naples and in Tuscany simply started pairing tomatoes and bread. By 1745, the recipes that Europeans were recording had started to show how important tomatoes would become to their food. The salt cod dish I made was simple: The recipe had me “fry an abundance” of tomatoes and onions, which made what started to look a lot like a familiar Italian tomato sauce. Then, I layered the tomatoes with the fish, along with parsley and garlic, and brought the whole mess to a boil. The result was flaky pieces of happily sauced fish. Before the coming of tomatoes and peppers, salt cod would have been cooked just with the onions and garlic and maybe the parsley; the tomatoes make the dish. Consider that these days, the passed-down-through-the-generations recipes for salt cod include both tomatoes and peppers. They were an improvement—a revelation even. I’ve experimented with making medieval recipes before, and they’re nothing like what we expect these days from European food. These Renaissance-era dishes start to look and taste like Mediterranean food today, and tomatoes are the transformative ingredient. For Europeans, the key to loving tomatoes seems to have been adapting them into familiar dishes, until they were so intimately incorporated with European cuisine that they were no longer associated with the place where they came from. A modern equivalent might be Sriracha sauce, which came from a Thai town named Si Racha but which, mixed with mayo, made into hot sauce for chicken wings or used to spice shrimp for a Caesar salad, doesn’t strike Americans as a foreign food anymore. If Europeans didn’t take to tomatoes right away, it’s because they weren’t that into salsa, apparently. Which, in my opinion, is still pretty inexcusable. If I can understand how anyone could say no to salsa, it’s only because Europeans didn’t have perfect, salty corn chips to scoop up this American invention. They had brought corn back from the Americas as well, but they were using it only to feed chickens.